When will be The Dog Rescuers with Alan Davies next episode air date? Is The Dog Rescuers with Alan Davies renewed or cancelled? Where to countdown The Dog Rescuers with Alan Davies air dates? Is The Dog Rescuers with Alan Davies worth watching? With nearly a quarter of British households owning a dog, they are the nation's favourite pet - but this isn't always reflected in the way some are treated. Here we follow the RSPCA officers who, committed to the rescue and welfare of man's best friend, are tasked with investigating reports of cruelty and neglect. In Derby, Inspector Sarah is called out to a Shih Tzu with matted fur and irritated skin. Luckily for the little dog, there's a team on hand to ensure he gets the care he needs. Inspector Anthony makes a shocking discovery when he finds a dog left in a garden, barely able to walk. And ten puppies found dumped in a bin are given a second chance at life thanks to the help of the staff and volunteers at Blackberry Farm RSPCA. In Staffordshire, inspector Charlotte comes to the aid of two border collies living in hazardous conditions. It is a tail amputation for elderly German Shepherd cross Alfie. Angellica Bell meets rescue dog Kevin who, thanks to Sheffield-based charity Support Dogs, is learning how to assist his owner with her mobility issues. Staffie crosses Rocky and Bentley are both extremely underweight and in need of help, but do they just a decent meal or is something else wrong? Angel, a Labrador cross, has a nasty flea infestation. Can animal behaviourist Sarah Whitehead cure Jack Russell Radley's fear of humans? Angellica Bell is at Putney Animal Hospital. Inspector Anthony Joynes returns to Malawi and joins the LSPCA to rescue a roadside stray, go undercover to investigate the illegal puppy trade, help out at an open-air surgery on World Spay Day, and vaccinate an astounding number of dogs against rabies. 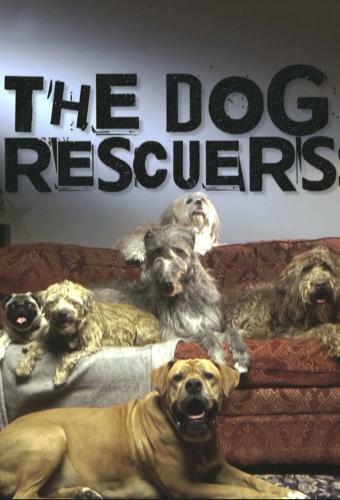 The Dog Rescuers with Alan Davies next episode air date provides TVMaze for you. EpisoDate.com is your TV show guide to Countdown The Dog Rescuers with Alan Davies Episode Air Dates and to stay in touch with The Dog Rescuers with Alan Davies next episode Air Date and your others favorite TV Shows. Add the shows you like to a "Watchlist" and let the site take it from there.